Welcome to our Know Your Theaters series, where we take a closer look at some of our favorite theaters nationwide and chat with the pros behind the shows about their organization’s missions, visions, and unique contributions to the community. What makes 24th STreet a special place to work? I love hearing stories from people who have been impacted by this place. Everyone’s got their own passion and excitement about why 24th STreet is special. I get to share these stories with our staff, our donors, and through our marketing efforts. Seeing the impact we’re making firsthand is a very exciting part of my role. Can you describe 24th STreet in 3 words? Excellence: From our after-school programs to the art you see on stage, we’re constantly improving and setting a high bar for our audiences. 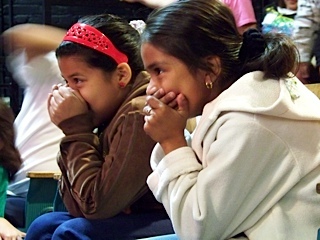 We make theater for young audiences, but we want to make sure that it’s excellent, award-winning theater. Community: We’re here to connect with the Los Angeles community and bring relevant stories to new audiences. Our doors are always open during the week, and we welcome our neighbors to stop by, grab some coffee in the lobby, and tell us about their lives. Engagement: We believe that a theater isn’t just somewhere you go to see a show; it’s a place that can engage you every step of the way. We want our audiences to take what they’ve experienced here and incorporate it into their lives, and to feel energized by what they see on stage. What are your favorite things about the 24th STreet space? The first thing visitors notice about the space are our huge green doors. The building used to be a carriage house in the Victorian age. When you come into the theater itself, you can see big archways repeated inside the building. We loved them so we kept them, and now they’re an integral part of the space! We’ve really embraced our building’s history and love sharing that aspect with our visitors. What excites you about 24th STreet’s student programming? The majority of what we do here is arts education: We have a free, after-school program for elementary students and a high school mentoring program. We also have a field trip program called “Enter Stage Right,” and we serve up to 100 schools every year. 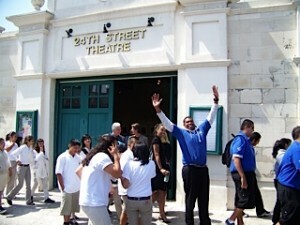 For most of the students coming through our doors, 24th STreet is their first exposure to live theater. 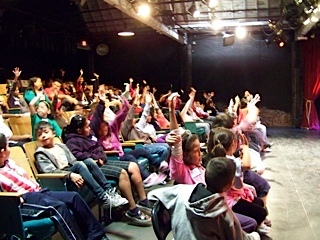 It’s a unique feeling to know that we’re the reason why thousands of school children in Los Angeles know what theater is and how it works! How do you develop original productions for your main stage? 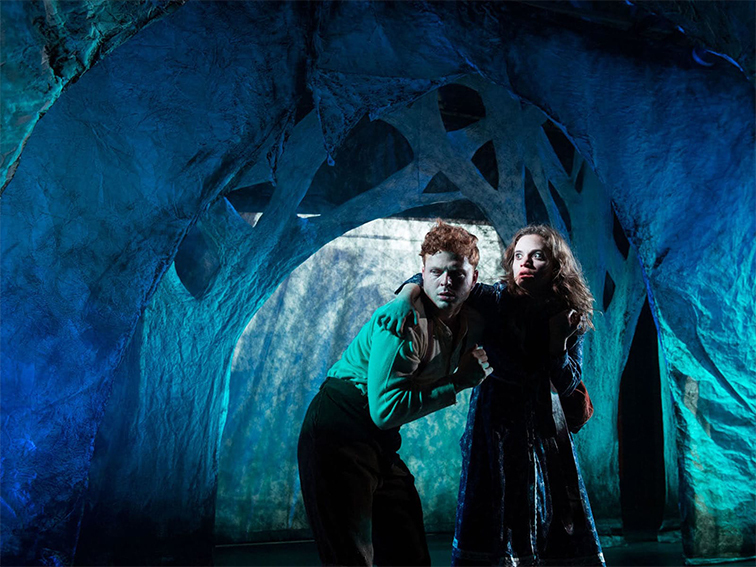 Hansel & Gretel Bluegrass had its World Premiere during our 2016-2017 season; the production has an amazing original script and was created through a series of workshops in-house. Artists from around Los Angeles came together and workshopped around the idea of young children being sent to America on their own. Since we’re a largely immigrant community in downtown Los Angeles, we thought the topic would be particularly relevant to the community. The team then took the idea and decided to make a twist on the Hansel & Gretel story, set in 1930s Appalachia during the depression era. The production incorporates music from the Bluegrass band The Get Down Boys, as well as voice work from Bradley Whitford as a 1930s radio show host. The show involves projections, live singing, recording singing, and acting on stage – it’s a very tech heavy show, but it comes together beautifully! To learn more about theaters in your neighborhood, make sure to follow us on Facebook and Twitter!